Named after the famous Sicilian puppets that recount legendary Medieval tales throughout the island’s many marionette theaters, I Pupi is an oasis of exceptional food and wine. I Pupi is located off a small street in downtown Bagheria, a small town outside of Palermo with a rich tradition of gastronomy focused on seafood, sweets, ice cream and a wide range of street foods. If you are looking for off-the-beaten track Italy, this is it. Chef/Owner Tony Lo Coco presents playful takes on the classics along with plenty of his own creations, although the inspirations are always the bountiful raw materials that Mother Nature has bestowed on this part of Sicily. Laura Lo Coco runs the small, cozy dining room with grace and manages the small, but well-chosen wine list. The crudo tasting is a great way to start lunch. 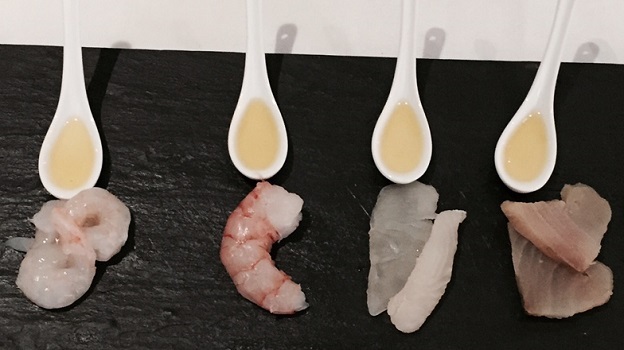 Each piece of fish is served with its own infused olive oil in a dazzling interplay of scents, flavors and textures. 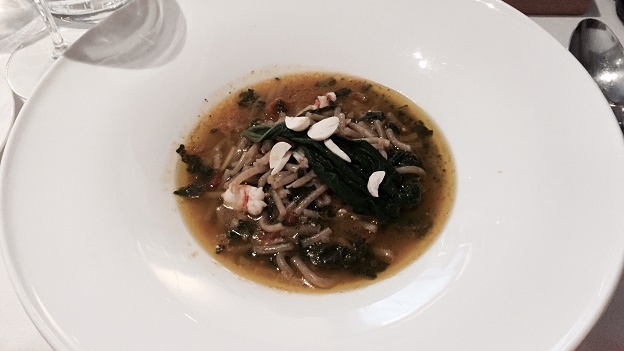 I can’t resist the pasta con i tenerumi, a classic Sicilian country dish that evokes so many childhood memories. Broken spaghetti is cooked in a broth made from tenerumi, the green, leafy part of the zucchini plant that in Sicily has a unique flavor all its own. I Pupi’s version is superb. Animalucente’s 2013 Etna Bianco Contrada di Santo Spirito is a tasty, straightforward white that pairs nicely with the antipasti. Crisp and floral, but with a good underlying backbone of minerality, the 2013 is quite pretty. Stigghiola, a staple of the local street food culture, is another peasant dish with rustic origins. Lamb or other meat innards are wrapped in leeks (sometimes simply on a skewer) and grilled. Lo Coco substitutes tuna for the lamb and squid for the leeks in a flavorful interpretation of stigghiola that showcases the purity of local seafood. Far from an easygoing Rosé, the 2013 Etna Rosato from Tenuta delle Terre Nere offers superb tension and energy that is the ideal foil for the rich flavors of Tony Lo Coco’s cuisine, with plenty of Etna focus. 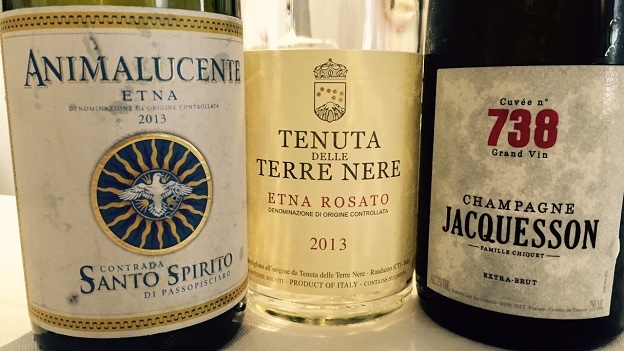 This is a terrific showing from Terre Nere. Red mullet (triglie) is a deeply flavored fish that is hard to eat because it also has a lot of bones. Lo Coco takes care of that by placing cleaned filets between crispy slices of bread for his triglie croccante, which is served with a lemon, red onion and lime peel sauce. I can’t resist Jacquesson’s Cuvée No. 738, as these Champagnes aren’t as easy to find in the US as they are in Europe. Cool, bracing and beautifully focused in the glass, the 738 is superb, with tons of pure energy and vibrancy that refreshes the palate on this blistering summer day. Pastries, ice creams and desserts of all kinds are among the specialties in Bagheria, a haven for anyone with a sweet tooth. I Pupi’s Cassata Siciliana, served with a dose of espresso, is the perfect way to wrap up this fabulous lunch. The flavors are dark, bold and lusty, in other words a perfect reflection of a culture where everything resonates with intense passion and a real connection to the land. I Pupi has one Michelin star today. The second will surely arrive in due course. 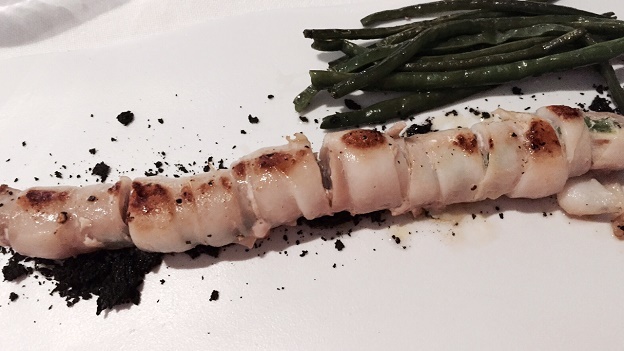 Tony Lo Coco’s ambition is to bring Bagheria and its gastronomic culture to center stage in Europe. I can only hope he succeeds. 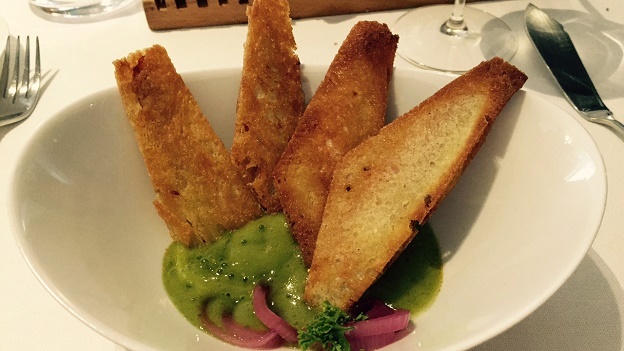 The food and ambience are quite refined for Sicilian standards. I Pupi feels more like a restaurant one might find in a city than in a small town. Unless you are a Sicilian history or art buff, Bagheria is a bit off the beaten track for most visitors, but take my word for it, I Pupi is worth the trip.